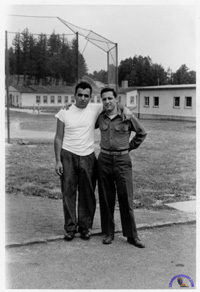 Memories of Oberursel, by Arnold M. Silver, who served with the Intelligence Center at Camp King from September 1945 until the end of June 1948. Click here to read the article on the CIA website. 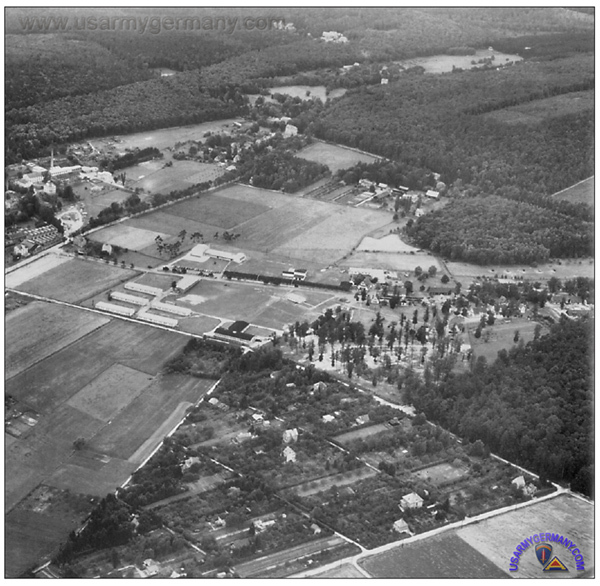 Some interesting details on operations at the Intelligence Center in Oberursel (1945-1949) and The IC's role in Operation RUSTY, the initial German post-war intelligence activity which would eventually become the Bundesnachrichtendioenst (BND). Click here to read the article and access the NSA Briefing Book (PDF). The 7707th European Command Intelligence Center, located at Oberursel, Germany, was the agency for the exploitation of persons and documents for intelligence purposes. Functions of an operational nature were under staff supervision of the Intelligence Section of the Operations Branch. The Control Branch had staff supervision of the administration and services of the Center. The Center was responsible for the receipt from field agencies and the forwarding of documents and for the interrogation of German scientists, selected individuals, and prisoners of war. It maintained a place of detention for persons under investigation and interrogation whose detention was required for important intelligence reasons. Many of the cases were of a top secret classification and the identity of certain prisoners was not divulged. (e) administer the detention camp in accordance with established instructions. The commanding officer of the Center was Col. R. M. Thoroughman; the executive officer, Lt. Col. John O. Taylor. The organization comprised a Headquarters, a Headquarters Company, a Medical Section, a Provost Marshal Section, and an Intelligence Group. It was organized as a separate detachment of battalion strength and charged with administrative responsibilities equal to those of a regimental headquarters. The Headquarters Company was assigned the duties of administering, housing, messing, supplying, and training all enlisted men assigned to the Center. Its Signal Section installed and maintained classified radio equipment used for intelligence purposes, periodically checked classified electronic equipment, and maintained a public address system and post telephone facilities. The Provost Marshal Section was responsible for the security of the Center and supervised the Post Security Office which was charged with internal security of the camp. The Provost Marshal Section investigated and eliminated undesirable persons found living in the surrounding area and safeguarded the identity of the prisoners, the type of work carried on at the Center, and the general security of United States citizens at the station. During December, 26 prisoners arrived at the Center and 28 departed. These persons included German prisoners of war, German civilians, and stateless persons. All stockade prisoners were interviewed twice each week and medical checks were made whenever necessary and at their request. Female prisoners were supervised by a WAC warden, who took care of welfare matters, bathing, and interviewing. The Intelligence Group centered its activities on the intelligence agencies of other countries, with special stress on eastern affairs. Intelligence matters dealt with organization, functions, methods, targets, and personalities of a top secret nature. Arrangements were made with the 970th CIC Detachment permitting interrogators to make direct contact with the CIC regions and subregions in order to make interrogations more effective. Reorganization of the Intelligence Group. a. Administrative Desk. The Administrative Desk handled all correspondence and reports passing between the Center and higher headquarters or other intelligence agencies. 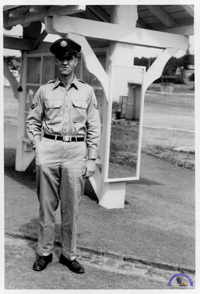 The Administrative Desk Head was assigned as Top Secret Control Officer for the Center and exercised control over confidential supplies and confidential fund Class A rations used for prisoners. All houses used by the various projects at the Center were under control of this desk. b. Economics Desk. The Economics Desk was concerned with the collection and dissemination of positive intelligence gathered from various confidential sources and dealt primarily with the capabilities of foreign powers. During the last week of December, a subdesk was established for the purpose of covering the military aspects of intelligence reports. The Economics Desk was the largest of the desks in the Intelligence Croup, having an operating force of 23 officers, enlisted men, and civilians. Well-trained and qualified interrogators were required in order to cover special targets and to interrogate returning prisoners of war. c. Political Desk. The function of the Political Desk was the collation of information of a political nature connected with the eastern complex, collected by Center interrogators in the field. Political figures from European countries were exploited for their knowledge of political developments and movements within occupied Germany. Personnel of the desk consisted of four United States civilian employees and two enlisted men. d. Scientific and Technical Desk. After its reorganization, the Scientific and Technical Desk published reports exclusively on scientific and technical subjects. It had formerly collected information of a general character on scientific, industrial, and economic matters. During the period under review, 19 different sources were contacted, which necessitated trips to Berlin, Munich, Landshut, Hausham (sic), Griesheim, Darmstadt, Heidelberg, Offenbach, and Oberursel. e. Counter Intelligence Desk. The main effort of the Counter Intelligence Desk centered on the intelligence agencies of other countries, with particular emphasis on eastern affairs. Cases concerning these agencies were of a top secret classification. Close liaison was maintained between interrogators of this desk and case officers of the 970th CIC Detachment and the War Department Detachment, which resulted in the successful completion of certain interrogations. f. Editing Desk. The Editing Desk consisted of an editor in chief, four editors, two translators, two draftsmen, one mimeographer, and three typists. The Editing Desk coordinated the work of the other desks and was responsible for the editing, rewriting, and typography of finished reports. The system employed for handling reports was as follows: The Editor in chief received reports from a briefer, after approval by the Intelligence Chief. The reports were then given to the editors with suggestions concerning treatment. The editors made changes in style, which usually involved rewriting the reports, and checked with the originator regarding points in question. After this phase, the reports warp returned to the editor in chief for final corrections in keeping with editorial standards. Following this action, the reports were typed for stenciling, proofread, corrected, and delivered to the originating section for signature, after which they were returned to the Editing Desk for reproduction. g. Briefing and Coordination Desk. The Briefing and Coordination Desk collected reports from the other desks, drafted summaries, and forwarded them to the Editing Desk after approval of the Intelligence Chief. The Document Section procured material needed by the intelligence agencies, consisting of scientific books, military manuals, and studies published by different powers. It provided numerous studies made by German scientists and German Army experts in the fields of science, technology, politics, and economy. It concentrated on work concerning libraries, many documents being obtained and catalogued. The document teams located, at Berlin and Nürnberg were the most successful in the discovery of pertinent material. Members of the Section translated lengthy and highly technical documents for other organizations, and assembled material for staff studies for the Office of the Deputy Director of Intelligence and the S-2 Section, Berlin Command, OMGUS. In addition to the research library of the Section, a special reference library was established which consisted of approximately five thousand books pertaining principally to the official and business life of Germany and Europe. Both libraries were used extensively by the staff of the Center. At the close of 1947, 30 tons of documents, were stored in the Center warehouse. Several tons of documents were dispatched to the German Military Documents Section, Department of the Army. Numerous special shipments were forwarded to agencies within the European Command, as well as the Director of Intelligence, Department of the Army. The 7707th European Command Intelligence Center, located at Oberursel, was responsible for administrative handling of documents, scientists, and selected persons of intelligence interest. The commanding officer was Col. R. M. Thoroughman; Executive Officer, Lt. Col. J. 0. 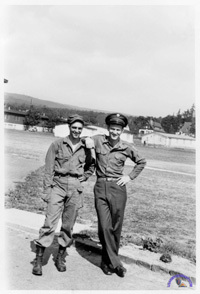 Taylor; and Adjutant, Lt. R. .A. Doran. The center maintained a place of detention and conducted interrogations and intelligence operations under the supervision of the Intelligence Section of the Operations Branch. 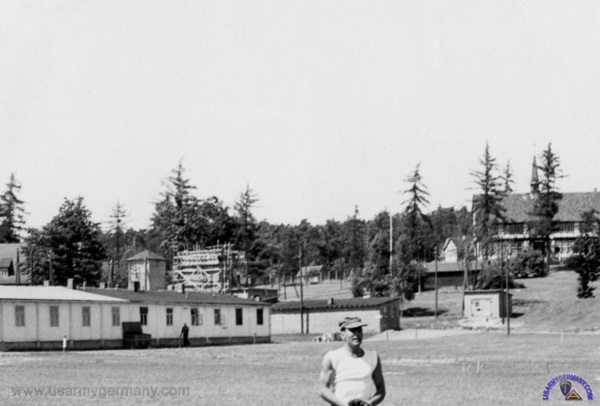 It was composed of a Headquarters Company, and Intelligence Group, and the following sections: Document, Engineer, German Youth Activities, Medical, Mess, Motor Pool, Provost Marshal, Signal, Special Service, and Supply. The Intelligence Chief held weekly meetings of desk heads, at which time intelligence projects, new ideas, and methods were discussed and problems surmounted by close coordination and cooperation. The Documents Section conducted an extensive survey for the Department of the Army to determine the type and quantity of documents held by United States agencies in the European Command. All agencies having captured enemy documents were asked to furnish lists of material. During the period under review, the chief difficulty encountered by the center was the lack of trained operating personnel. The few replacements received did not meet the required standard. The services of six highly trained intelligence interrogators were lost due to a new ruling which required ten years United States citizenship for persons engaged in intelligence work. On 26 March 1948, 32 persons were being held in the stockade for interrogation. Special facilities were set up at the center for conducting the interrogation of 50 high-level Czechoslovak refugees and their dependents who entered the U.S. Zone after the communist coup in Csechoslovakia. Interrogation briefs were obtained from the British Liaison officer, Political Adviser, and Research and Analysis Branch to aid in the questioning. Air intelligence information obtained was forwarded to the Assistant Chief of Staff, A-2, U.S. Air Forces in Europe. 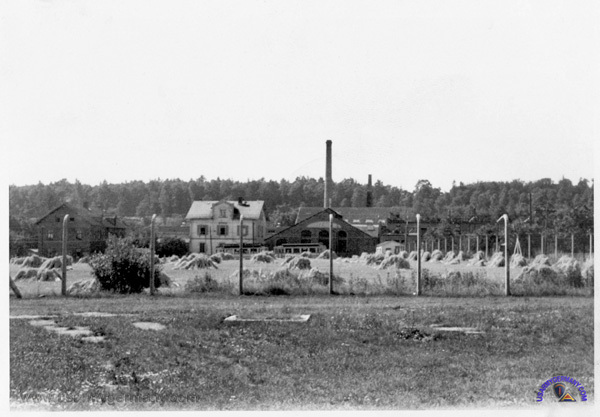 The Czechoslovaks were sent to the center in order to receive good care and treatment, as living conditions in German refugee camps were unsuitable for persons formerly of high station. The 7707th European Command Intelligence Center, located at Oberursel, was the command agency for the intelligence exploitation of persons and documents. 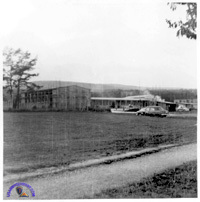 The center was under staff supervision of the Intelligence Section of the Operations Branch and was responsible for the administrative handling of selected individuals, prisoners of war and documents. It maintained a place of detention for persons under investigation and interrogation, whose detention was required for important intelligence reasons. The operations of the center were handled by its Intelligence Group, which was composed of a chief and assistant chief of intelligence and nine operational desks. The activities of the desks were: Intelligence administration; economic and industrial; political and intelligence; scientific and technical; counterintelligence; editing and publications; briefing and analyzing; and field interrogation. The Headquarters Company was responsible for administration, billeting, and training of enlisted men and had, an average strength of 240 men. In May, the 5-hour training program was extended to include two hours training of four machine gun crews and two rifle platoons. Considerable time was agent on M-1 rifle marksmanship preparatory to range firing scheduled for July. The chief problem at the center continued to be the need for adequate qualified personnel. This situation was made difficult by a ruling that civilian intelligence officers were required to be United States citizens for at least ten years. Because of this stipulation no civilian intelligence officers were assigned to the center during the second quarter. Most of the enlisted men received were unqualified for intelligence work. During the period under review, 17 persons arrived at the center for interrogation. They included British prisoners of war, repatriates from various countries, and stateless persons. In the same period, 33 persons were evacuated from the center, most of whom were released in their own custody to return to their homes, and the remainder were moved to other camps. I'm a regular reader of your great website. Photo #6 "Air Force personnel also at the IC?" One explanation for Air Force personnel at Camp King that I can confirm was that it hosted a seismic detachment, #313A, assigned to AFOAT-1/1009th Special Weapons Squadron. AFOAT-1 was an Air Force unit that conducted nuclear intelligence by technical means and reported directly to the Joint Chiefs of Staff. While relatively small, its importance in bureaucratic terms is reflected in the fact that during the Cold War it was considered equivalent to a separate Air Force in the chain of command, just like USAFE. Its mission was to provide long-range detection of atomic energy on a global basis, i.e. it operated the Atomic Energy Detection System (AEDS) (click here for some additional details).. AFOAT-1's mission was assumed in 1959 by Air Force Technical Applications Center. 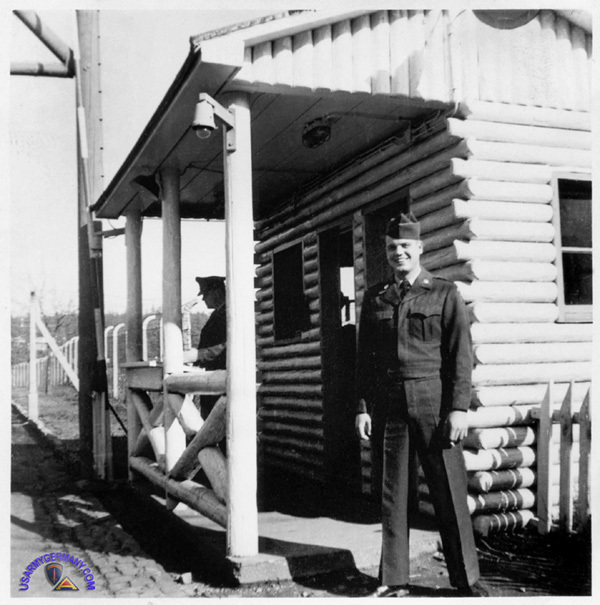 I'm uncertain when the detachment was stood up at Camp King, but it was one of the early units after AFOAT-1's initial limited seismic network went into operation in 1950. Detachment 313 (as it was initially known) was unfortunately plagued by noise, possibly due to being so close to the Ruhr's intensive underground mining activities. Despite several attempts at technical fixes, AFOAT-1 eventually declared the problem irresolvable. 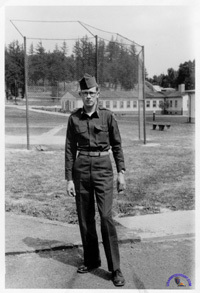 The detachment closed out at Camp King by October 1956 and the equipment was relocated to Sonseca, Spain with success. I believe it was at this time that Camp King had the "A" affixed to its detachment number, 313, for historical purposes, with Sonseca just being designated Detachment 313. 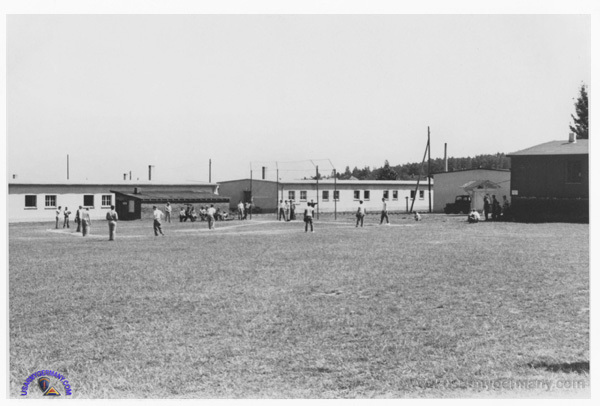 The physical facilities that Detachment 313 used at Camp King would have been low-key and minimal. It likely consisted of a secure building to house the seismometer readout and recording equipment, along with a series of underground vaults that housed the seismometers, which were connected by cabling back to the detachment's building. There is another, more intriguing possibility for Air Force personnel being at Camp King that might be related to AFOAT-1's work, too. I recently confirmed that another of AFOAT-1's missions was to locate fissile material production facilities inside the USSR. 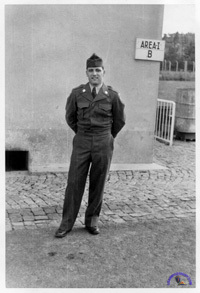 Given that Camp King's primary mission was to debrief personnel transiting for various reasons from the East to the West, certainly there would have been interest in locating anyone knowing info about such facilities. Whether any refugees or defectors warranted attention from AFOAT-1 directly at Camp King is uncertain. AFOAT-1 collected intelligence through technical means (seismic, fallout samples, EMP, acoustic, etc) and its seems that there was no human intelligence component within the organization itself noted in any of the documents I have available. Thus, I tend to doubt such a capability existed for it to handle interrogations and debriefings directly through its own personnel. Instead, it's possible that it relied on the expertise of those conducting interrogations at Camp King to call significant info to its attention if it came up. However, Camp King is the only place that I know of where AFOAT-1's technical collection system crossed paths directly with human sources who might know something about Soviet nuclear installations. Stranger things did happen during the Cold War. If AFOAT-1 did have personnel stationed at Camp King other than those operating the seismic detectors, they most likely did not interact with those operating the seismic station. During this early period in AFOAT-1's history, it was the unit's security practice to compartmentalize those working on one technique, say seismic detection, from others working at the same installation on another technique, such as whole air sampling for tell-tale isotopes. After 1957, this practice was relaxed somewhat to facilitate day-to-day operations and logistical support. Realistically, in many cases but especially so at smaller installations, airmen did become aware of the fact that others stationed there were also working for AFOAT-1. In any case, strict security about the mission and operations of AFOAT-1 detachments precluded mention of it to those without a "need to know." If some sort of cover story was needed, it typically was that they were doing "weather research." I should note that Army Signal Corps also supported the AEDS by operating the acoustic detection network. Based on technology first widely used during WWI to locate enemy artillery for counter-battery fire, the Signal Corps further refined acoustic detection for use in locating and timing Soviet nuclear tests. I have very little info on these Army efforts, given my focus on the Air Force, but know that they did operate in Europe. I'm currently finishing my doctoral dissertation, which covers many other aspects of how nuclear intelligence affected Cold War policy besides this vignette. But I thought it worth pointing out... and who knows, maybe one of those Air Force fellows is still out there, might see your pic, knows the airman in the pic and might tell us more? At the 7707 USAREUR Intelligence Center basic strategic information on countries behind the Iron Curtain was obtained by interrogating former German prisoners of war returned by the Soviets and illegal border crossers (IBC's). The 7707 Intelligence Center received persons for interrogation from the Seventh Army, the 66th CIC Detachment, and from its own two field detachments. 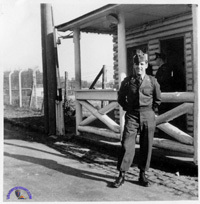 On 26 February 1952, the USAREUR Intelligence Division directed the center to close its IBC screening points at Hof, Ulm, and Hersfeld, and to establish a permanent screening team at Giessen, in collaboration with Seventh Army. Soviet deserters and other persons possessing considerable information were referred to the Defectors Reception Center (DRC) at Oberursel. A high percentage of information obtained at this center was considered of greater interest to the Department of the Army than to USAREUR and much material was sent to Washington for use in the National Intelligence Surveys (NIS) and the Industrial Card Files. The five and one half technical intelligence detachments at the center assisted with the NIS program and prepared briefs of the interrogations. The intelligence center regularly employed approximately 142 civilians and 312 military personnel. 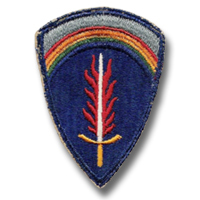 The center was scheduled to be reorganized on 15 January 1953 concurrent with the activation of the 513th Military Intelligence Service Group. 6. Air Force personnel also at the IC? 10. Headquarters building oin the background?